With 33 seconds left on the clock, redshirt-junior guard Marcus Evans nailed the game-winning three to hand Dayton its first Atlantic 10 loss of the season 76-71. 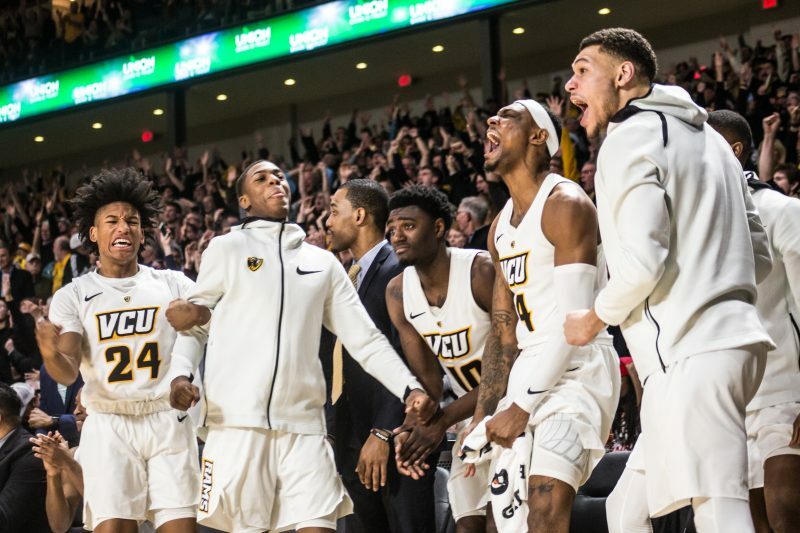 Evans accounted for the final seven points down the stretch leading VCU to the victory. He finished with a team-high 17 points, including a perfect 4-for-4 from the free throw line. Dayton attempted a layup with 13 seconds on the clock, but it got stuck on the rim, forcing the officials to call a jump ball. The jump ball gave VCU the possession and sealed the victory. 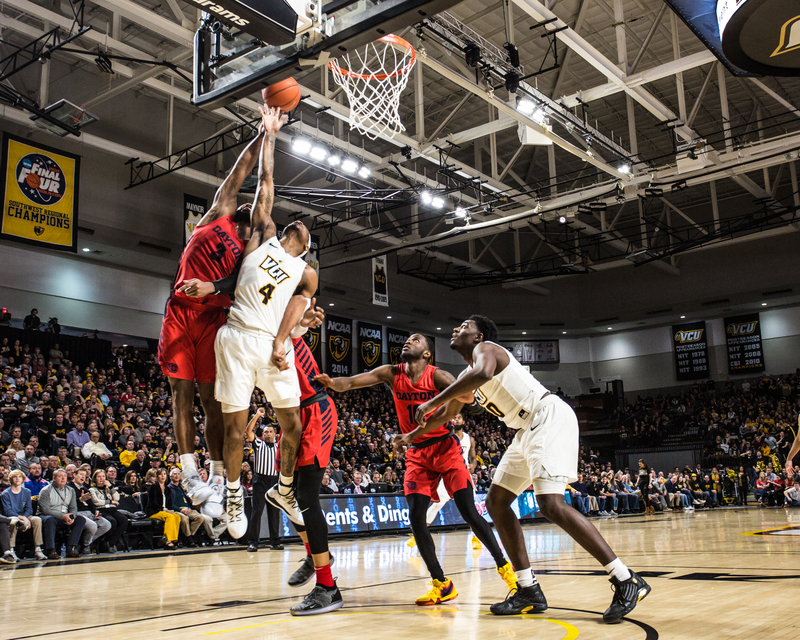 VCU and Dayton went back and forth for most of the second half, until the Flyers were held scoreless for about four minutes toward the end, allowing the Rams to make the final push for the win. The Rams forced 12 Flyer turnovers, which they took advantage of, scoring 11 points off the errors. Sophomore Corey Douglas (4) had four points, six rebounds, and two blocks in the win over Dayton. Photo by Erin Edgerton. The Rams got off to a quick start as Evans stole the ball and layed it in to open up the contest. 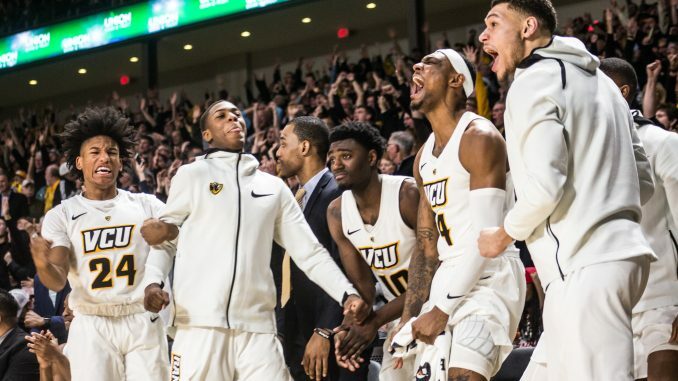 VCU used the momentum from the takeaway to go on a 7-1 run. Junior guard De’Riante Jenkins hit a deep 3-pointer midway through the first half, extending the Rams’ lead to 10 and forcing the Flyers to burn a timeout. The Flyers surged back at the end of the half, using a 9-0 run over the final 1:33 of the first half to pull within one heading into the halftime break. VCU shot 45.2 percent from the field in the first half, including 44.4 percent from beyond the arc. Jenkins was perfect from the field in the first half, shooting 2-for-2 from three and 1-1 inside the arc. He led the Rams in the first half with eight points and finished with 13.